A home’s HVAC and AC system provides a refreshing breath of chilled air in summer or the cozy warmth of a functioning heater in the winter. Create an eco-friendly home. Talk to contractors that can help you select, install, care for, and maintain HVAC solutions for your home. 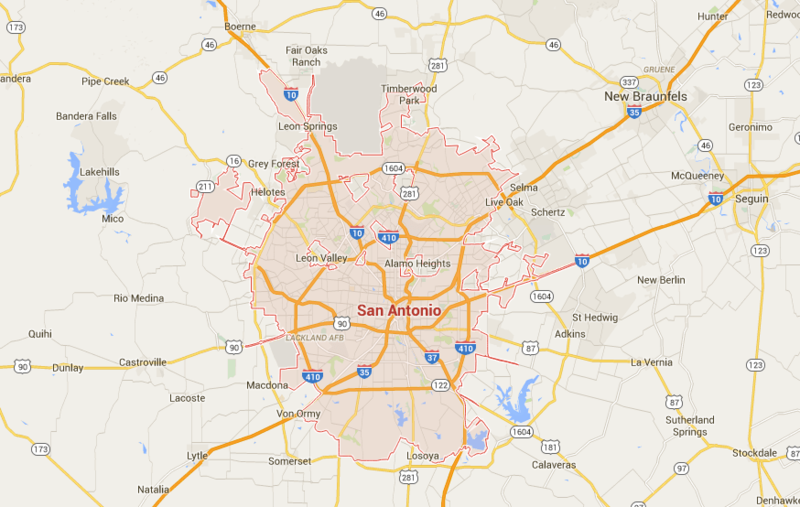 Modernize is your trusted source when searching for HVAC in San Antonio, TX. We love helping homeowners find the best HVAC unit contractors in their area. It is always smart to compare at least four different price quotes from contractors to make sure you are getting the best local prices on installation services. Get free quotes from the best hvac repair contractors in San Antonio, TX, ready to complete your project. Installing a new HVAC “Heating, Ventilation and Air Conditioning” system is a great way to improve your home and lifestyle. Today’s systems combine high efficiency with top performance to give you the maximum in energy efficient savings and comfort. A lot of thought and careful planning is required before purchasing a new HVAC system. The information below is an HVAC buying guide designed to point San Antonio residents in the right direction when planning their project. Before getting started with your project, you would be wise to educate yourself on some of the HVAC basics. You don’t have to become an HVAC expert, but it would be extremely helpful for you to familiarize yourself with the types of HVAC systems available and the planning required before installation. This will give you a better understanding of HVAC systems and allow you to communicate more easily with your HVAC contractor. Split System AC incorporates both indoor and outdoor equipment to condition the inside air. The main components of a split HVAC system are the outside condensing unit and an indoor air handler. Heat pumps are one of the most efficient methods available to both heat and cool your home. It works by using the outside air to condition the inside air during both the winter and summer months. Ductless Air Conditioners – Mini Splits are similar to a split HVAC system as they have both inside “air handler” and outside — condensing unit — components. Since these systems do not require ducts, they are ideal for small apartments or areas where space is limited for duct work. Packaged HVAC systems provide all of the necessary components for both heating and cooling, housed in one single cabinet. They are often used in single-family homes constructed in such a way to favor a single cabinet system. The three main areas that will dictate how your HVAC contractor sizes the new equipment are the heating and cooling requirements for your climate, the square footage of the conditioned area and the condition of all exterior walls that will interface with outside temperatures. Sizing the unit is very important. Too small and it will work harder and use more electricity to condition the air inside your home. If you go too large, the system will cycle more frequently — more wear and tear on parts — resulting in uneven heating and cooling. During this critical planning phase of installation, it pays to have an experienced and knowledgeable HVAC contractor. SEER “Seasonal Energy Efficiency Ratings” measures the ratio of cooling capacity to power input; the higher the rating meaning more efficiency. AFUE “Annual Fuel Utilization Efficiency” is a measure of how efficiently your furnace utilizes its fuel. HSPF “Heating Seasonal Performance Factor” is the measurement used to gauge the heating efficiency of heat pumps. High-performance equipment costs more upfront but will provide greater energy savings in the future. It is important that you weigh the benefits of both short and long-term savings. Your new HVAC system can carry a high out-of-pocket expense, and it may be necessary to consider private funding or financing to cover the costs of the equipment and installation. Lending institutions are beginning to offer special financing options for green home improvement projects geared towards energy efficient equipment and upgrades. In addition, many HVAC companies offer zero to low financing terms to attract and hold your business over their competitors. Programs are available through many HVAC companies that offer discounts on future repairs, parts and/or labor when you enter into an annual maintenance agreement. Periodic maintenance and/or service for your new system protects your investment and maintains peak energy efficiency and performance levels. Neglected systems are more likely to fail and use more energy to maintain your comfort levels, increasing energy costs. Permits are required for HVAC/Mechanical installation or replacement in San Antonio, Texas. Beware of any contractor who suggests bypassing the permit process. For information about the type of and requirements necessary to obtain a HVAC permit in San Antonio, contact the San Antonio Development Services, City Government Office, 1901 South Alamo Street, San Antonio, Texas 78204. (210) 207-0000. Money saved is money earned and any rebate, incentive or low interest financing option will help defray the costs of your new system. Visit the Database of State Incentives for Renewables & Efficiency to find rebate and special incentive programs available for the city of San Antonio. You can also visit the Energy Star website to search for active programs and tax credits available for energy efficient equipment and home upgrades.